Want to know the secrets behind successful companies? Senior HR consultant Ruth Cornish shares five lessons she’s learned working for some of the UK’s biggest businesses. We love inspirational wisdom, and earlier this week, shared five business tips from Sophie Cornish, the inspirational co-founder of notonthehighstreet.com (NOTHS). Now we have more excellent advice from Sophie’s sister-in-law, and regular Talented Ladies Club contributor Ruth Cornish, HR consultant and founder of Amelore. Over the years, Ruth has worked as a senior HR professional for some of the UK’s biggest businesses, including NOTHS and has seen firsthand what it takes to steer a company to success. 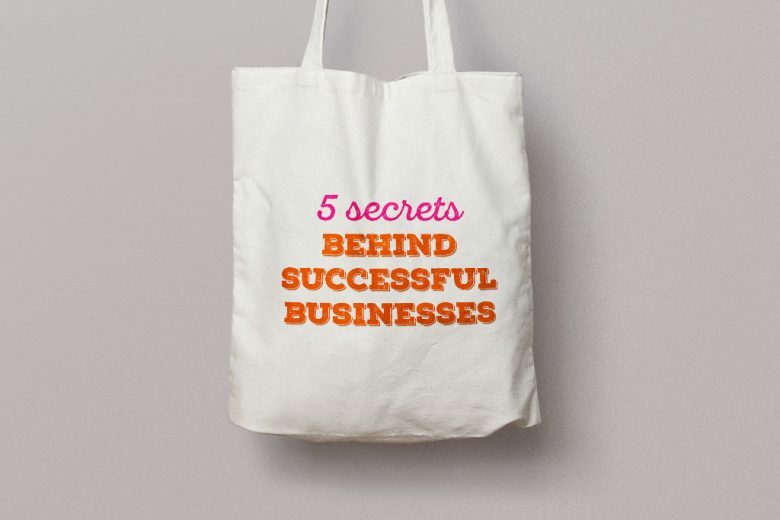 Now she’s sharing five secrets behind their success with us. There’s a good reason why huge corporations invest millions in their brand image. But you don’t have to have the budget of a small country to invest in your brand. And you don’t just need to be a household name to need to – every single business, from multinational corporations down to one-man-band freelancers has a brand, whether you realise it or not. Often when we hear the word ‘brand’ we think of large household names or expensive logos, but branding is so much more than that. Branding can be as simple as the way you speak to customers and clients, or how you package your goods. In fact, it’s everything that you do that helps people form an impression of you as a professional or your business. No matter how big or small your business, you need to get it right on the people front. If you really want to get ahead make sure you are not bogging yourself and others down with unnecessary HR bureaucracy, rules and regulations. Be an informed leader, especially when you hire managers with more experience than you. There often comes a time in your business journey when you’ll need to look for investment. And it’s important to find the right type of investor. Don’t simply take the first offer you get. Instead, go through a very thorough process to pick someone or an organisation who will compliment you and not try and run your business for you. An investor should never ‘mentor’ a business owner as there will always be a potential conflict of interest. So be clear at the outset about what you need to share, and their involvement (or lack of) in the day-to-day management of your business. It’s essential that you understand your own personality, that of your team and the business personality you want to project, as all three need to work for your business to be successful. The quality of all three will be something that future investors or buyers of your business will look at, and will either add or detract from the value of your business. So make sure your business fits your personality, your hire the right team and have a strong business brand (see points one and two!). Often the things that go wrong in our lives are as important as the things that go right. And if you’re growing an ambitious business, failure is pretty much inevitable at some point. So try not to fear failure, or see it as a bad thing, but rather consider it a valuable opportunity to learn. In fact, you could even go as far as to welcome failure (read five reasons why you should learn to love failure here) and accept it as an important step on your journey to success. Need help guiding your business to the success you desire? Find out how Amelore can help you with leadership development.